It is important to align pharmacy services with changes in the population. Check out the video to learn which pharmacy students are getting recruited. 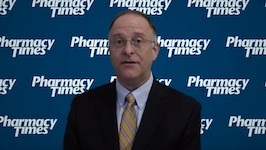 How Will Changes in Payment Models for Chronic Illness Care Change Pharmacy? A growing number of plans have begun adjusting payment to pharmacies according to adherence rates. Accepting some risks and investing in time and staffing are needed to build out service models. There are 30 million Americans living with diabetes, and 84 million Americans have prediabetes. What Should Pharmacists Advise Diabetes Patients About Lifestyle Modifications? In this clip, Brooke Hudspeth, PharmD, CDE, of the Kroger Co., explains how pharmacists can play a role in reinforcing the importance of lifestyle modifications for the prevention and management of type 2 diabetes. What Role Can Pharmacists Play In Implementing Lifestyle Modifications with Diabetes Patients? In this clip, Brooke Hudspeth, PharmD, CDE, of the Kroger Co. discusses how pharmacists can educate patients about lifestyle modifications that could impact their diabetes. What Treatment Options Are Available for Diabetes Patients? Brooke Hudspeth, PharmD, CDE, of the Kroger Co., discusses the newest therapies available for type 2 diabetes management. Pharmacy Times and Parata Systems, founding partners of the Next-Generation Pharmacist awards, congratulate the 2017 winners named at an award gala held August 19 at the San Diego Zoo in San Diego, California. While building the relationships between hospitals and community pharmacists can be difficult, the benefits are far-reaching. Priority One: The Message Is Top Priority! Priority One™ leverages the power and reach of Pharmacy Times®, the most-trusted pharmacy resource, to deliver messages to a selectively targeted proprietary list of decision-makers. The popular “Vision” pavilion will return to the Exhibit Hall at the 2017 National Association of Chain Drug Stores (NACDS) Total Store Expo, which will be held at the San Diego Convention Center from August 19 – 22. Results of 2017 Kantar Media Readership Survey demonstrate publication's ongoing valuable leadership among retail pharmacists. Pharmacy Times and Parata Systems, founding partners of the Next-Generation Pharmacist awards, have announced this year’s 30 finalists.